This fuel filter assembly is comprised of a black anodized aluminum main body, mesh-style element, and o-ring seal. The element is washable and reusable. 1/8” NPT female inlet/outlet. 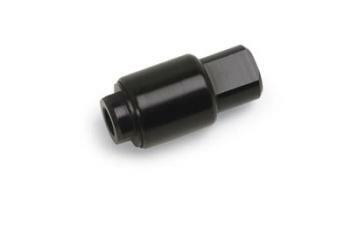 Adaptable for AN or pipe thread.